What happened to the passenger hovercraft? It is 60 years since the British inventor Christopher Cockerell demonstrated the principles of the hovercraft using a cat food tin and a vacuum cleaner. Great things were promised for this mode of transport, but it never really caught on. Why? The hovercraft slides down a concrete ramp and into the Solent. Its engines, propellers and fans hum as it crosses from Southsea, in Hampshire, to Ryde, on the Isle of Wight, travelling 4.4 nautical miles in under 10 minutes. The journey is more than twice as quick as the catamaran from Portsmouth to Ryde and more than four times as quick as the Portsmouth to Fishbourne ferry. Hovercraft cross the sand to arrive on the concrete landing pad near the centre of Ryde, the Isle of Wight's largest town. This amphibious mode of transport, with its rapid disembarkation - not needing the building of a pier or port - was seen as the future once. But the Solent is now thought to be the only place in western Europe where a full passenger service operates. The cross-Channel service from Dover to Calais closed in 2000. The two vessels, the Princess Anne and the Princess Margaret, could carry only 52 cars. Larger ferries and cheaper-to-power catamarans, as well as the Channel Tunnel, proved too much competition. Routes in Japan and Sierra Leone have also since ceased. 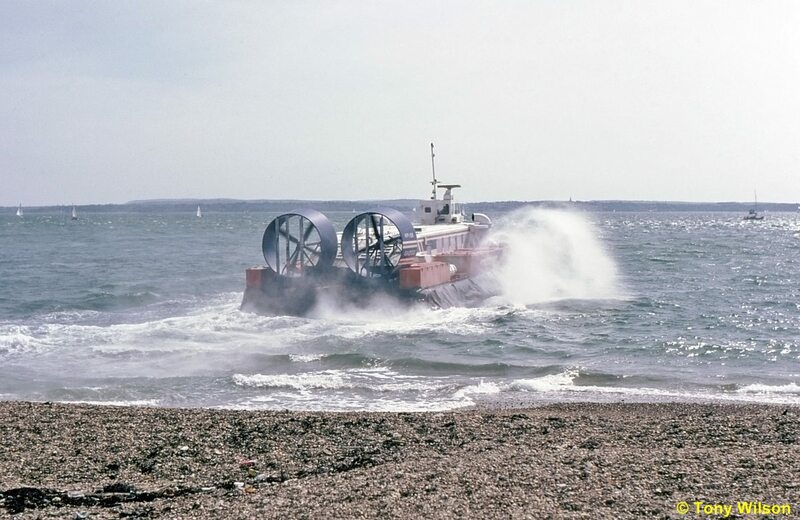 "The problem militating against expansion has always been the noise for residents, who have to hear the hovercraft all day, 365 days a year," says Warwick Jacobs, who runs the Hovercraft Museum, at Gosport, Hampshire. "The sound can travel quite a way, depending on the wind speed. We could have had hovercraft running on the Thames, for instance, but they'd have been too noisy." Recent models are quieter than their predecessors because of more efficient engines, while plans are in place to build electric-powered hovercraft, which will reduce the decibel count even further, Jacobs says. 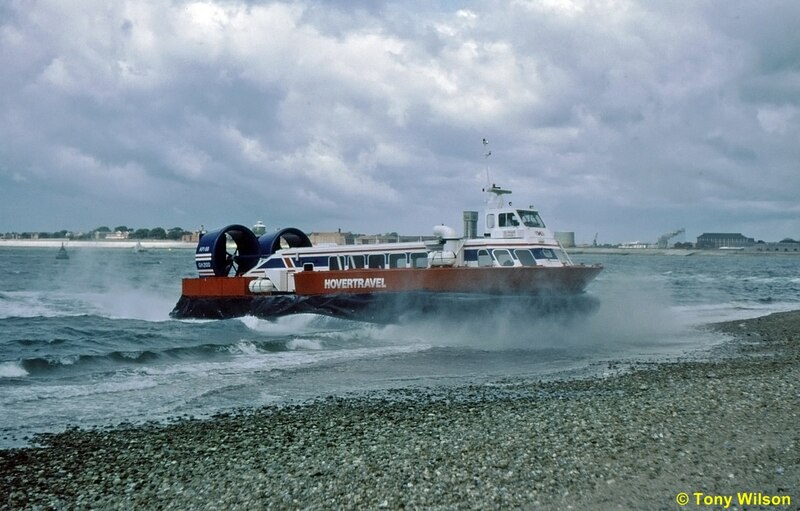 The Hovertravel service between Southsea and Ryde survives because hovercraft are best suited to short routes like those across the Solent, says Robin Paine, co-author of On a Cushion of Air, a history of hovercraft. "There is also a need because the tide at Ryde goes out half a mile - hence the reason for Ryde Pier to accommodate conventional ferries, whereas the hovercraft can deliver people straight into Ryde." It's 60 years since inventor Christopher Cockerell demonstrated the principle of hovercraft travel - discussed in abstract terms since the 18th Century - in an eccentrically British way. He experimented with vacuum cleaner tubes and empty cat food and coffee tins, finding that when placing a small can inside a larger one and blowing air through the smaller can, it hovered above the bottom surface of the larger object. A working prototype was ready by 1955, which Cockerell called the "hovercraft", obtaining a patent in 1956. A cushion of air is created by a large fan underneath. A "skirt" surrounding the craft prevents too much air from escaping. Because the craft is moving through air rather than water, it can go faster than a conventional boat of similar power. It can also travel over land and sea. At first, the government classified hovercraft as "airborne" rather than seagoing craft, meaning "strict requirements" on operating hours, says Bill Moses, director of the maritime consultancy firm FMS. He argues that this restricted growth of the use of hovercraft in the UK. But in June 1962 shipbuilder Vickers launched the UK's first commercial hovercraft service across the estuary of the River Dee. In 1965 another short-lived line began on the Clyde, linking Glasgow with locations including Largs and Rothesay. 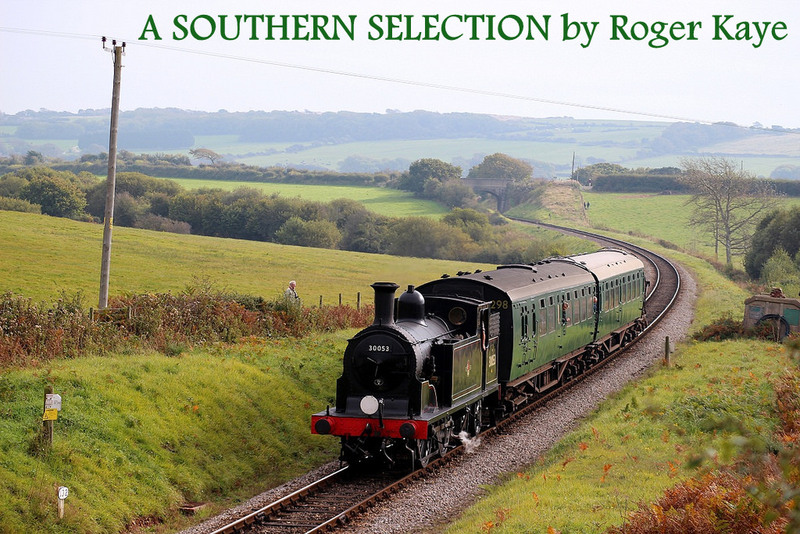 In the same year, the Isle of Wight service started. Larger craft began operating across the English Channel from 1966 - the SRN-4, capable of carrying cars as well as foot passengers, started in 1968. But there were setbacks. In 1972, five people died when a Ryde to Southsea SRN-6 overturned in a gale. In 1974, Liberal Party leader Jeremy Thorpe took an electioneering tour of coastal towns on a hovercraft. This was struck by a large wave when leaving Sidmouth, in Devon, causing irreparable damage. "We are going to get another hovercraft on Monday for our tour of the south coast," Mr Thorpe said. "This is a great British machine. If the British hovercraft has any future, then we must continue to use it." Hovercraft maintained some of their early glamour, featuring in James Bond films. In 1979's Moonraker a Venetian gondola sprouts an air cushion, allowing 007 to escape his pursuers by mounting steps and speeding through St Mark's Square. There is a two-hovercraft chase scene in 2002's Die Another Day. This is the stuff of fantasy, but organisations such as the British Royal Marines, the Swedish coastguard and Lithuania's border police make use of these craft when transporting personnel and supplies to difficult-to-access locations, including rough beaches and swamps. Since 2002, the UK's RNLI has used hovercraft for rescues on tidal mudflats, sand too soft to support land vehicles and water too shallow for boats. "A resurgence of passenger hovercraft is easily possible," says Jacobs. "Running costs have fallen." For now, though, the Southsea to Ryde passenger service, which celebrated its 50th anniversary this year, pays a lonely homage to Cockerell. Hovertravel has invested £10m in two new hovercraft - the first passenger models to be built and used in the UK for a decade. "We will be a shop window for any existing or potential ferry operator who wants to be fast and frequent like us," says Loretta Lale, Hovertravel's commercial manager. "Our service has always attracted global interest and when the world sees what a 21st Century hovercraft can do we anticipate considerable interest."